Richard and Justine Dewar live and work in Locoal-Mendon. The poterie is situated in the hamlet of Keryavec, passing via the village of Le Clozo (see map and follow our signs). Richard trained as a ceramic artist at both Bath and Harrow Schools of Art and then established his first studio in the Forest of Dean, UK. After moving to France in 1979, Richard and Justine created their first French atelier in Avessac, Loire-Atlantique. 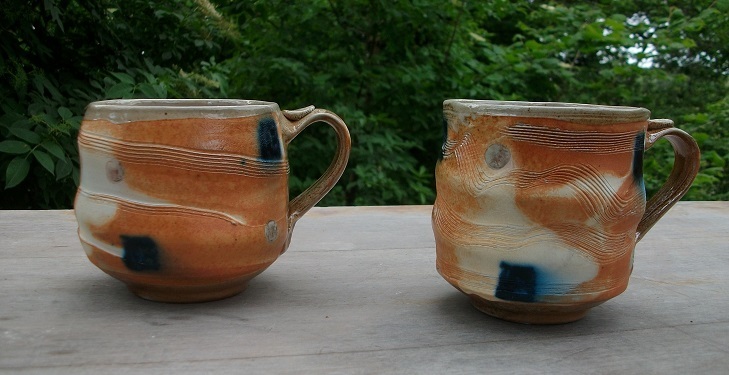 In 2007 they constructed a new house and studio in Locoal-Mendon, Morbihan, where they make salt-glazed, wood-fired stoneware and a small number of individual raku pieces. Richard’s work has been seen in numerous exhibitions throughout Europe and the world.